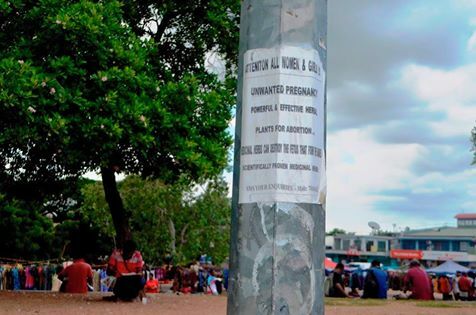 The recent spotting flyers advertising abortion practice in Port Moresby city has reached NCD Governor Powes Parkop who says such practice in the city will not be tolerated since abortion is illegal in the country. Governor Parkop says the issue of abortion practice in the country has many components connecting to health and law and order and therefore needs further discussion of the parties involved. He says the abortion law needs more emphasis in communities and it is the role of the health department as well as the law sector to advocate more on this. He says personally he believes that women have the final say on themselves and he is ready to have an open debate regarding this issue of abortion in the country.